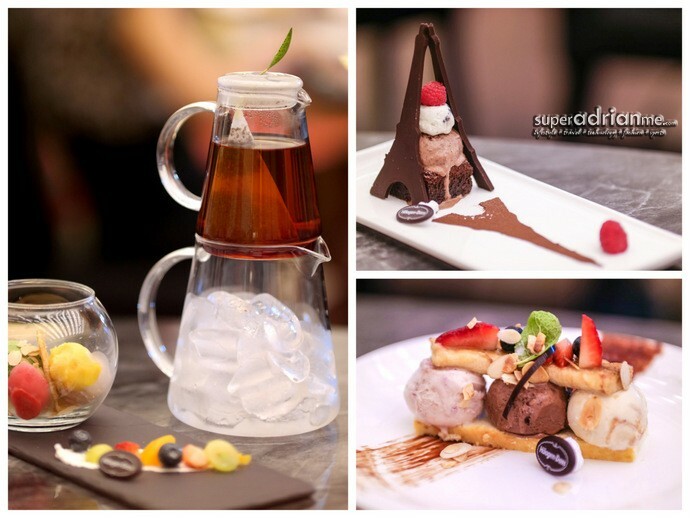 The all new House of Häagen-Dazs at ION Orchard is the world’s first Häagen-Dazs store to serve up unique ice cream creations that cannot be found else where. 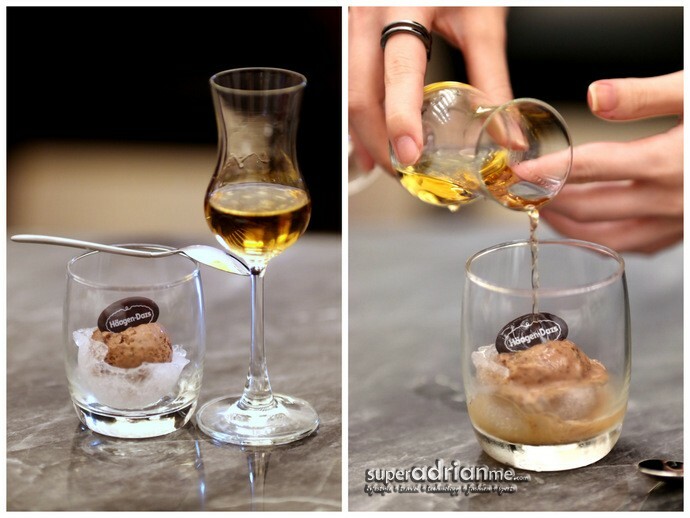 From sophisticated ice cream creations to bespoke ice cream cocktails created by renowned mixologist Ethan Leslie Leong of Maison Ikkoku, you are into a #foodporn worthy treat when you step into The House of Häagen-Dazs. With ice cream cocktails like “Black Tie” which combine Häagen-Dazs’ rich Belgium Chocolate ice cream with a generous shot of Chivas Regal 12 years whiskey is a true gentleman’s treat that is hard to resist. 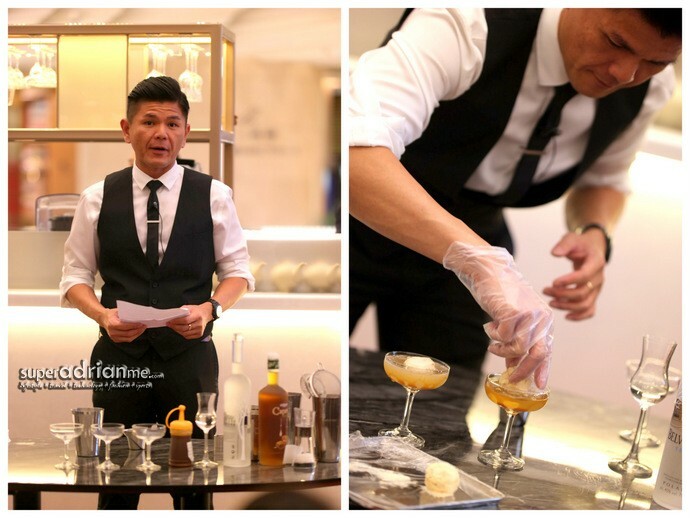 Infused with leading liquors, premium ingredients and Häagen-Dazs creamy ice-cream into a unique line of alcoholic indulgences, these four cocktails are only priced at S$18 each. How wonderful. Summer Paradise (S$16.50) is a refreshing textural delight combining crisp wafer biscuits with four delicious scoops of Green Tea, Strawberry, Mango Sorbet and Raspberry Sorbet. Chocolate lovers will delight in Love in Belgium (S$15.90) featuring warm chocolate fondant topped with a scoop of Belgian Chocolate ice-cream with chocolate crumb and crushed almonds, finished with a dusting of chocolate curls and luxurious gold leaf. The Macaroon Collection (S$29) is a global bestseller, showcasing Vanilla and Strawberry ice-cream sandwiched between biscuit crumble and served with delicate macaroons. The Eiffel Tower (S$25.90) evokes Parisian sophistication. A delicious warm brownie is topped with Belgian Chocolate and Cookies & Cream ice-cream, and finished with dark chocolate Eiffel Tower pieces. 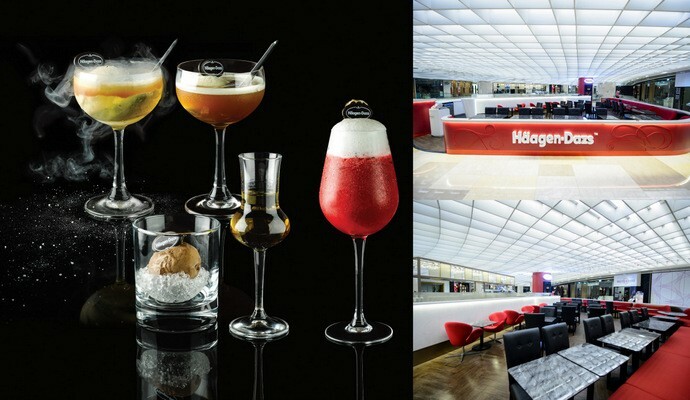 Be it a family day or girls’ shopping spree at Orchard Road, you can always find sometime & reason to chill out at The House Of Häagen-Dazs at ION Orchard to sneak in that sweet or/and alcoholic treat even when children are around.